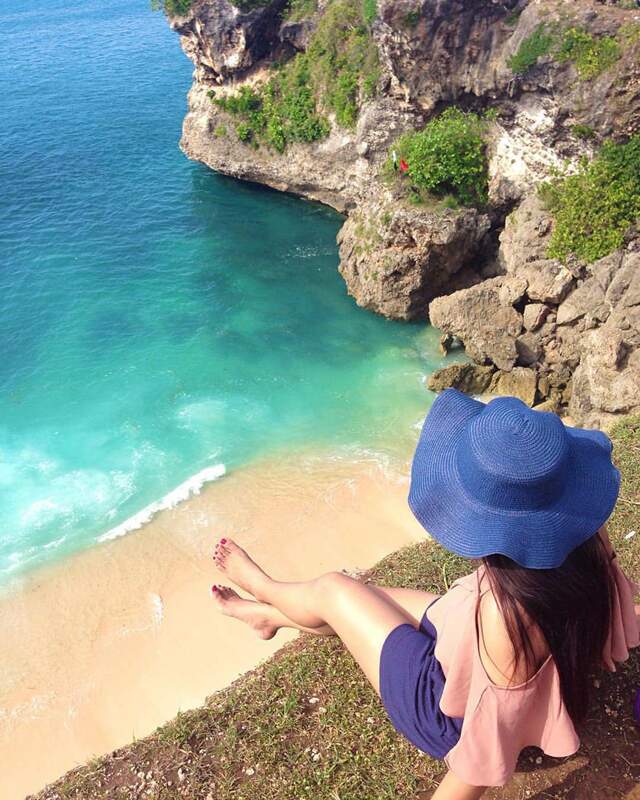 Balangan Beach attraction is the beach with a beautiful cliffs dazzling. This beach is located in Jimbaran, South Kuta, Badung. It is in the north of Dreamland Beach. The beach is becoming one of the most beautiful and fascinating in Bali. Because along the coast is the cluster of high cliffs, with white sandy beaches slightly browned. Balangan Beach has a cluster of beaches with steep rocky cliffs. Although steep but has a very fascinating beauty. Standing at the edge of a cliff, or sit at the edge of the cliff looking down at the base of the cliff is a very pleasant sensation and thrilling. Balangan Beach is very beautiful. With panoramic sea and cluster broad grassland at the edge teping, slammed the wind from the sea, it's very beautiful scenery. Many tourists who deliberately walk from the west to the east to see all the beauty that is served in Balangan Beach. Matchless beauty like heaven. Impressive comfort while in this attraction. On the sidelines of the cliff, seen from above, looks beaches with charming white sand. In the corners of the cliffs overgrown by trees little green. Little beauty in the vast panorama that is impressive and spoil the eye. Rows of palm trees also adorn this beach, giving the impression of a real tropical beach, and stunning Bali impression as beautiful paintings created by renowned artists.